Kimi Raikkonen ended a mammoth wait for his 21st race win in Formula 1 as Lewis Hamilton had to settle for a third-place finish behind Max Verstappen that will extend his title fight with Sebastian Vettel to the Mexican Grand Prix. Ferrari pulled off a superb strategy to help Raikkonen to his first race win in 113 outings – a new record distance between race wins. 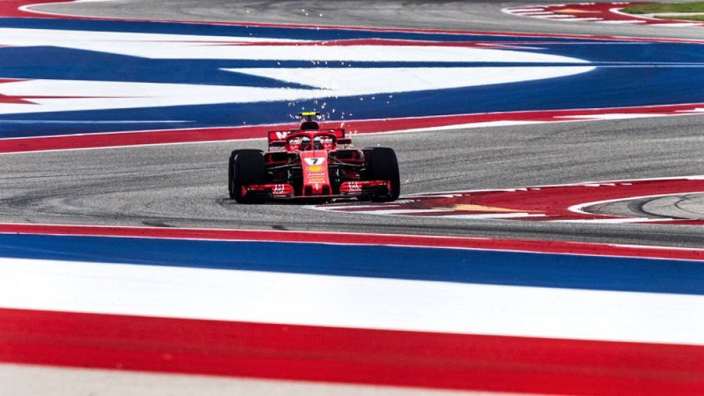 A thrilling race at the Circuit of the Americas will still have plenty of 'what ifs' for Ferrari, however, with Sebastian Vettel once again spinning to the back of the field after making contact while trying to overtake. This time it was Daniel Ricciardo that Vettel clipped and the German could only recover to fourth place – although it was enough to keep his dim title hopes alive for another week. However, had he kept it clean on the opening lap, the door would have opened for him to take a win and potentially shift momentum against Hamilton, who came home in third. Raikkonen made the most of ultrasoft tyres to burst past Hamilton off the line and Ferrari's decision not to pit him under a VSC brought out when Ricciardo retired proved inspired. Hamilton did dive in on lap 12, but his soft tyres did not last and he was forced to pit again. It brought him out behind Max Verstappen, who took an incredible second place from 18th on the grid – perhaps a slice of justice for the Dutchman after his podium was taken away last year at COTA. Hamilton still has a tight grip on the title, Vettel must win all three remaining races in order to pip him to the title, but the Mercedes man will be crowned champion for a fifth time regardless if he finishes seventh or better in Mexico next week.